5 Great Sushi restaurants in Omiya, Saitama! Just a 30-minute train ride from the Ikebukuro Station in Tokyo is Omiya Station in Saitama. The place is not a hugely popular tourist destination but there are definitely some interesting things to do such as going to the Omiya bonsai village, a quiet area with many old bonsai farms. And while you are there, why not eat at some of the delicious sushi restaurants in Omiya. Here are five selected shops and a note about the bonsai village. Azumazushi, one of the best-rated sushi restaurant in the area, is located at just a three minute walk from the Omiya Station. The secret to the restaurant being so well-regarded is that it combines delicious sushi at a a surprisingly low price. The lunch courses are what you should go for. As seen above, for just 1000 yen, you will get a 14 piece sushi set, a miso soup and a small salad as an entree. This quality of sushi usually sells for at least 100 yen a piece, so this is quite the bargain for the amount you get! Located on the Sakura lane, where there are many well-known shops, this restaurant is at a short walking distance from the Omiya Station (about 4 minutes). There are also two other locations of this shop in Omiya, but this is the nearest from the station. There are mainly counters seats but also some tables. It has a relaxed atmosphere. Sushimasa is another great sushi shop along the lines of Azumazushi. It offers great assortments of nigiri sushi at very affordable prices. The picture above shows a set which includes salmon roe, uni (sea urchin), tuna and salmon for only 1000 yen. Plates also come with miso soup and tea. You can also get a great sashimi don buri (sashimi served on a bowl of rice). Located at a 3 minute walk from the Omiya Station's West Exit. This is a stylish restaurant that has a high-class feel. The dishes here are very well presented. You can order a la carte, or small sets of sushi or sashimi such as the one shown in the picture above. Aside from the delicious sushi and sashimi items, you can order the popular home-made tofu originally made from soy milk and cream. They also have tasty seafood salads. Even if you order quite a lot, a lunch here shouldn't cost you more than 3000 yen. Sushihana is a franchise with a few locations in Japan. Omiya has one located at just a 3 minute walk from the station. It has a warm traditional interior, many counter seats and some tables. If you are really hungry, why not try their "summer feast" course. You will get delicious sushi as well as　grilled fish and so many more traditional side dishes such as the ones shown on the picture above. The lunch-time special is 2963 yen. For dinner, you can chose from three amazing courses ranging from 4167 yen to 8000 yen. At this shop, conveniently located inside the building of the Omiya station, you can have the traditional Tsukiji fish market sushi at a reasonable price. Sushi are served in colored plates that indicate their prices. The cheapest start at 80 yen per plate. You get all the standard types (tuna, salmon, japanese omelette, shrimps) and many more. Lunch sets start at only 853 yen and are reasonably filling. 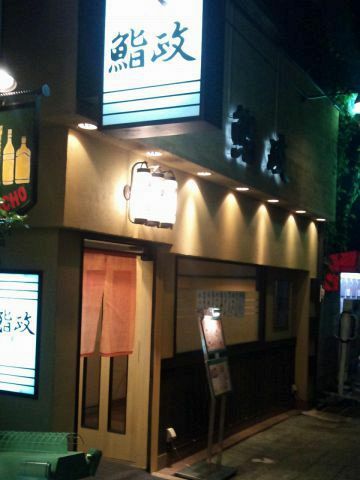 At night, you can order a beer set which comes with eda mame (soy beans), and a few pieces of sushi. This place opens at 7:00, so you can even have sushi for breakfast!